Students can lower the cost of their college education with the help of scholarships and grants. These are sources of free money that never need to be repaid, making them the most desirable form of financial assistance. 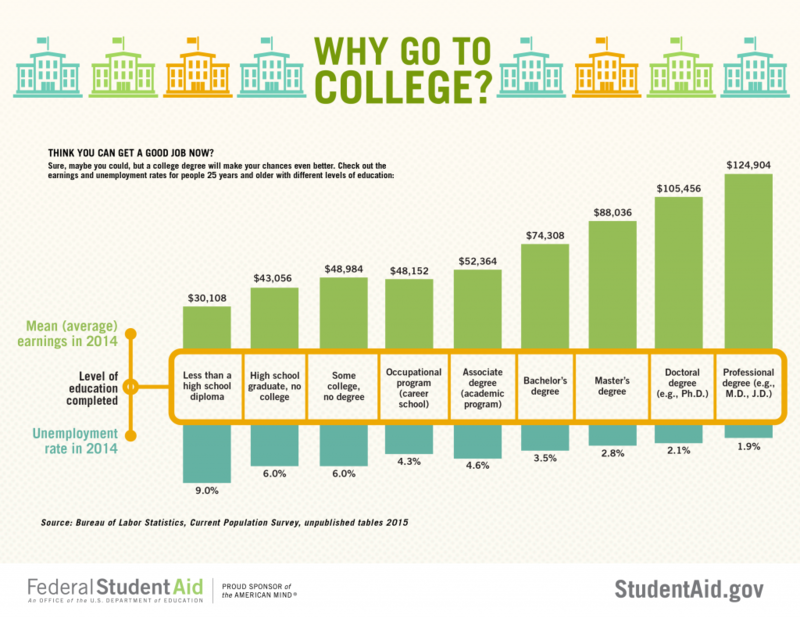 As the cost of tuition continues to rise, so does the importance of finding them. Conducting a successful funding search takes time and effort, so start early and investigate all possibilities. The information below provides guidance to candidates seeking assistance specific to the counseling field. You will find scholarship and grant options for different specialty areas, as well as information on alternative funding sources. What Scholarships Are Available For Masters In Counseling Students? What Grants Are Available For Masters In Counseling Students? What Other Forms Of Financial Aid Can I Apply For? Before you begin your search, it is important to know the difference between a scholarship and a grant. They both provide students with tuition money that does not have to be repaid, but the qualifications for each differ significantly. A grant is typically awarded based on financial need, while most scholarships are merit-based. This means that they are awarded to students based on academic achievement, class rank, demonstrated leadership, and other selection criteria. However, there are scholarships out there based on financial need too. These awards, often called need-based scholarships, are designed to help financially disadvantaged students by considering family income, the number of siblings in school simultaneously, and cost of living. Merit-based awards are often referred to as school-based individual scholarships. These awards are based academic achievement, leadership potential, personal accomplishments, and other selection criteria. Contact each school’s financial aid office to learn more about campus-wide and departmental scholarships options. Scholarships and grants are competitive, and the application process is time-consuming. The research process alone takes time. That’s why it’s important to start your search AND the application process sooner rather than later to avoid missing out on funding opportunities. By starting the process early, you’ll also avoid the stress. Paying for college is already expensive — and costs continue to climb each year. Before you start your search (and the application process), it’s important to address scholarship and financial aid scams. Unfortunately, scams are common, and target college students looking for aid. But you can protect your wallet by knowing what to look for and staying informed. Scholarships are awarded AFTER an application process. This is a very important part of the application process, and should not be overlooked. Without an application, how would the selection committee judge the applications? If you can’t reach the scholarship provider either by phone or email, there’s a good chance the scholarship is a scam. A legitimate scholarship should provide names of prior winners. If this information is unavailable, you might want to pass on the offer. If you find a scholarship database online, and the service guarantees you an award, it’s a scam and not worth your time. Legitimate scholarships are ONLY awarded after an application has been submitted and a selection committee has reviewed it. The steps outlined below will help you streamline your search, and make the application process both easier and faster. Make a list of schools you wish to attend with website and contact information for the school’s financial aid office and counseling department. Compile a list of your achievements and career goals. This will help narrow your search when looking for funding options. For example, are you interested in pursuing a career as a marriage and family therapist? If so, search for scholarships that provide funding for your area of specialty. Google your field of study with the word “scholarship” or “grant” and let the search begin! Make sure to vary up your search terms. You never know what you’ll find when your search terms are more specific, use contractions or apostrophes, or anything out of the ordinary. Contact schools on your list to gather information on potential scholarship opportunities and work-study programs. It’s also a good idea to ask your teachers, school counselors, and current employer(s) for scholarship leads. Sometimes employers offer some form of tuition assistance. Tuition reimbursement is often a contractual arrangement between employer and employee, with the understanding that the employee successfully completes an approved program and remains on active payroll. There are additional scholarships programs available for graduate study in counseling. By navigating the Internet and contacting colleges and universities, you’ll learn more about funding opportunities as well as work-study programs that will help alleviate the cost of higher education. The American Psychological Association offers a scholarship to students pursuing a career as a substance abuse therapist through its Mental Health and Substance Abuse Services Predoctoral Fellowship. The Esther Katz Rosen Graduate Student Fellowship through the American Psychological Foundation supports graduate study related to the psychological understanding of gifted and talented children and adolescents. The Rehabilitation Services Administration (RSA) awards grants to institutions for providing scholarship assistance to students interested in pursuing careers in rehabilitation. Recipients are required to pay back their scholarship through employment in support of the public rehabilitation program. Make sure to contact the schools you wish to attend to inquire about potential funding opportunities. And if possible, meet with an advisor or financial aid counselor to determine what you qualify for and how to apply. The Pell Grant is the most common grant distributed by the federal government. This award is given only to undergraduate students working towards their first bachelor’s degree. Other sources of funding are available for graduate students, and it is in your best interest to find those sources. To qualify for a grant, you’ll need to complete a Free Application for Federal Student Aid (FAFSA). The FAFSA determines your eligibility for federal grants, and some schools do not participate in the program. The FAFSA also determines the amount of money you’re expected to contribute toward the price of attending a postsecondary institution, and whether you qualify for work-study and other federal aid programs. You’ll need to complete a FAFSA for each year that you’ll be enrolled in school. As you can see in the graphic, there’s the potential to earn over $80,000 a year with a master’s degree. What’s more, the chances of unemployment are much less. Additional information about grants and scholarships can be found by visiting Student Aid on the Web. There you can read about other government funding programs as well as search and apply for several financial awards. If you do not qualify for scholarships or grants, loan forgiveness programs offer many debt elimination options for graduates. School counselors, mental health therapists, and many other fields can apply for these opportunities through various foundations and organizations. Licensed professional counselors may be eligible for up to $50,000 in student loan repayment under the National Health Services Corps (NHSC) Loan Repayment Program. Under the Federal Perkins Loan program, a portion of a loan can be cancelled for full-time service as a school counselor in a designated elementary or secondary school serving students from low-income families. Students who become full-time counselors, and meet specific criteria, may qualify for cancellation. These scholarships, grants, and loan forgiveness programs are by no means exhaustive. Additional funding options are out there, and through diligent research and hard work, your efforts will “pay off.” Finding free money helps close the gap between the financial aid package and your personal financial contribution. The first step is done for you – our list of accredited schools will help you find the right program to advance your career.